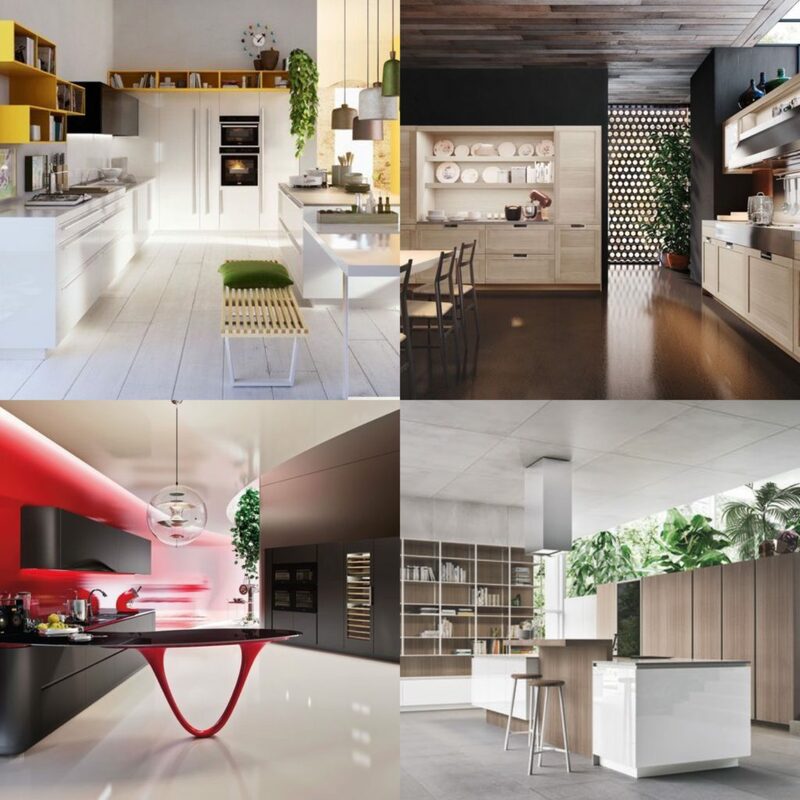 Alexandria, Virg.-based firm Studio Snaidero DC Metro recently utilized their social media skills and launched the #DesignYourDreamKitchen campaign. The firm polled its followers across its suite of social channels – Facebook, Instagram and Twitter – and asked them to choose their favorites in terms of kitchen style, finish/frame style, color and countertop. The end result is a conglomeration of materials that best shows what today’s consumer wants. KBB spoke with Hadley Lankford of Studio Snaidero to find out the details about the contest and the winning design. KBB: Why was this campaign started? HL: We started this campaign for two reasons: inward context and consumer outreach. We wanted to gain insight into what resonated with our potential client in terms of an aspirational kitchen. It is also important for us to stay connected with our target market and to keep a pulse on the trends. At the same time, this campaign was educational for our followers to understand the rich materials that are available to them. KBB: What is the process for selecting a winner? 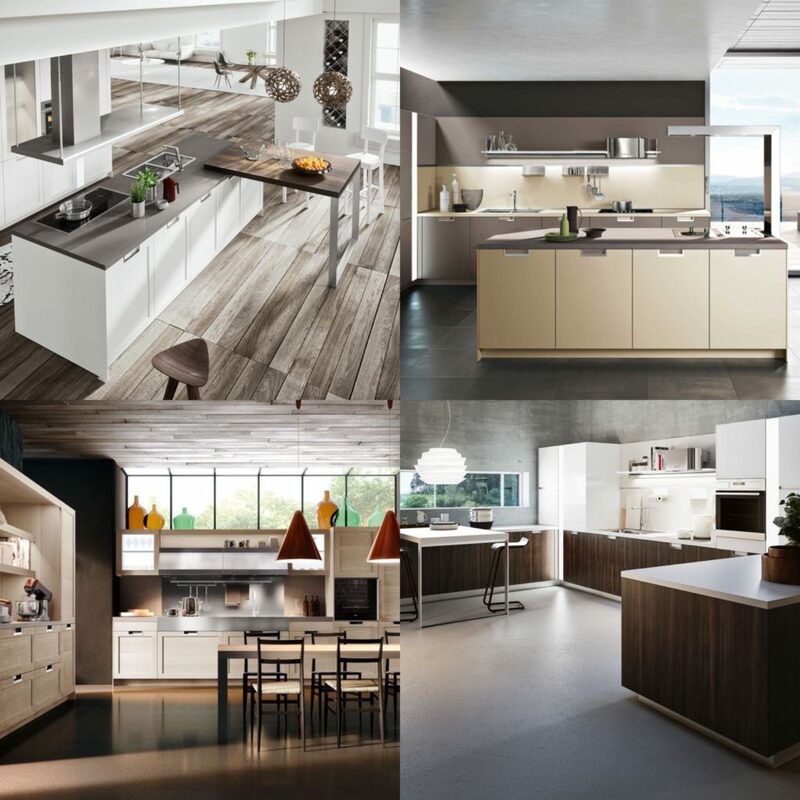 HL: First, we asked the customer to choose their favorite kitchen style. Snaidero offers 19 different kitchen styles, and from there the options are endless. After their favorite kitchen style, we asked the consumer to choose a finish/frame style. There are nine different finishes that can be selected in a flat or framed panel, as well as a few specialty doors. Next, our followers were asked to choose a color from almost 30 choices. Snaidero provides nearly 80 color options, along with the ability to make your own if you can’t find exactly what you are looking for. Finally, we asked our customers to put the kitchen together by choosing their favorite Caesarstone counter. This decision process mocks the steps we walk through with our customer when they come into our showroom. 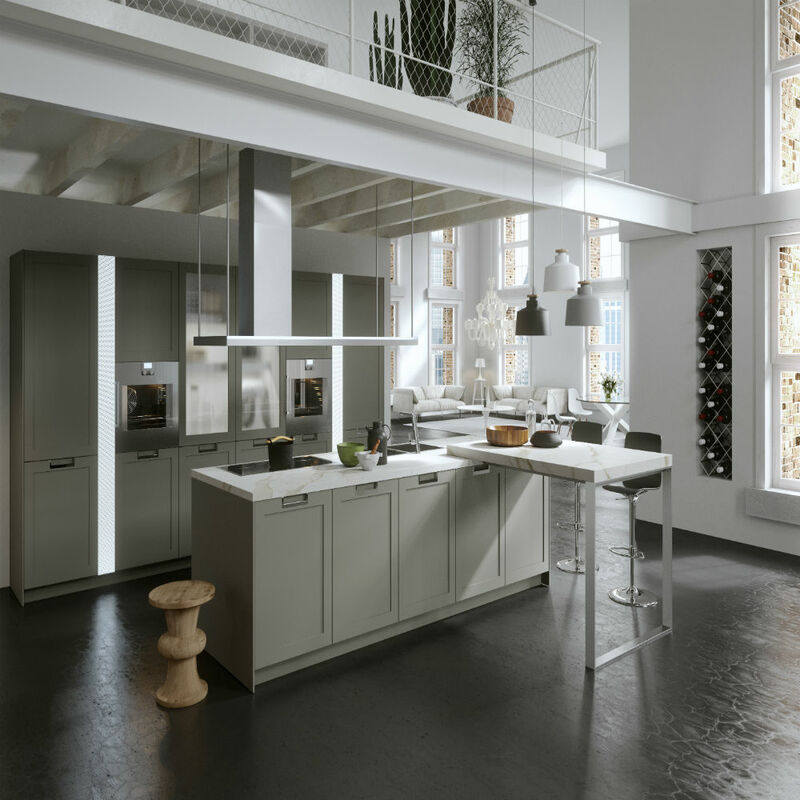 We first look at overall kitchen style to determine what the customer is looking for, and then we move on to door style and color, followed by countertop, appliances and accessories. KBB: What does the end result say about today’s consumer? 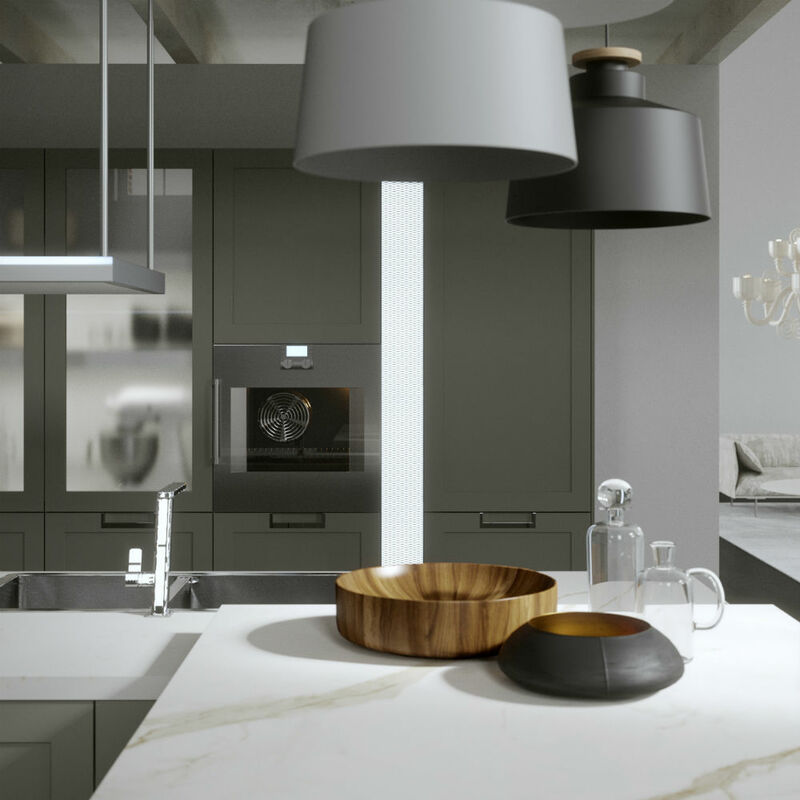 HL: The winning kitchen was a Snaidero LUX kitchen in Framed Matte Titanium Lacquer with a pair of glass upper cabinets and a Calacatta Nuvo Caesarstone counter. The end result shows us that gray is king in the New Year and that the 2017 consumer is bold. Choosing a darker color versus the traditional white cabinets is a statement-making piece. 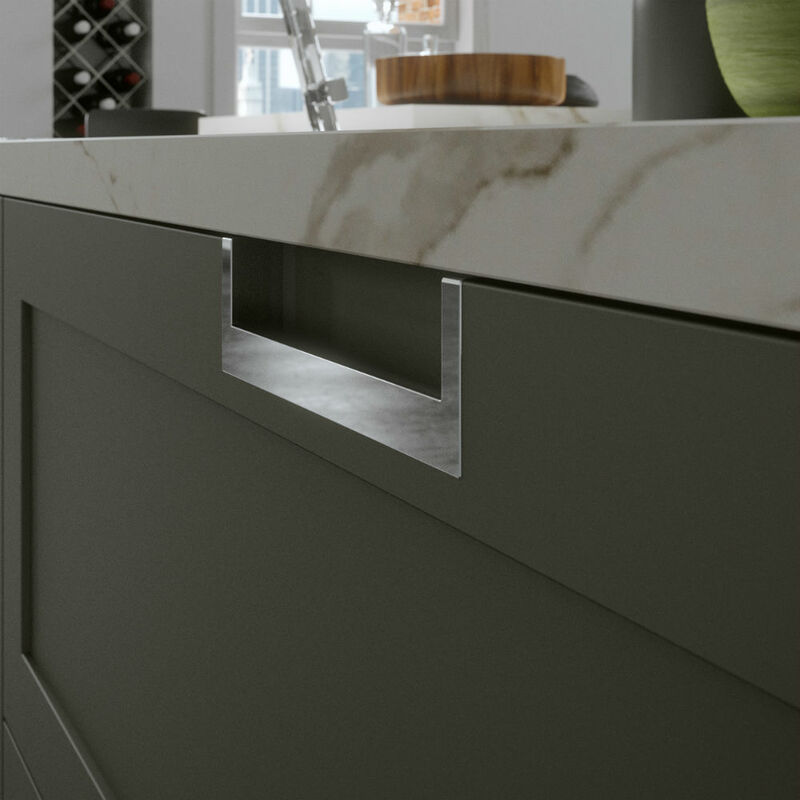 Additionally, the matte lacquer finish with chrome handle they chose in conjunction with the white counter and the glass cabinets is a very contemporary look that mixes dark and light and different materials. We can conclude clean lines paired with adventurous choices are in, and that modern isn’t such a scary concept anymore. Our clientele in the mid-Atlantic region are more traditional in their tastes, but we are beginning to see a movement toward more transitional kitchens that seamlessly weave contemporary into historical homes and provide that “wow factor” conventional homes are missing. The kitchen is the heart of the home, and the consumer is beginning to see their kitchen cabinetry as furniture used to showcase their style.